Did you know that was a thing? Did you even know Quartzsite, AZ was a place? Well, obviously you did because you got here, but I sure didn’t before I joined the RVing community. So whether you are visiting Quartzsite for the dream vacation of a lifetime (note the sarcasm) or for one of the many Gem and Mineral Shows or Rv shows that take places in January and February, you will need to book at one of the MANY Quartzsite RV parks available to you. My advice? Book early and often, because that season is no joke! Our family visited Quartzsite, AZ in the “off season” of November as we made our way from our friends’ beautiful and inviting backyard in Escondido, CA to our next major stop to explore Sedona, AZ. 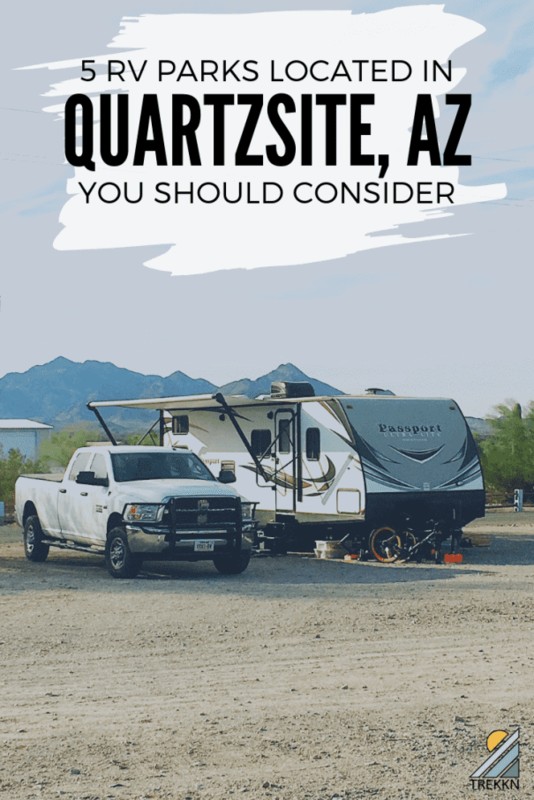 If you have never visited Quartzsite, you should know right off the bat that you are not going to find a “green oasis” RV park here in the middle of the desert. Not happening. It’s desert. And it looks like the desert. It’s deserty. And so are the RV parks. Well, I have to put this one first because it is the one that we have first-hand experience with…and yes, it was a very positive experience as well! It is located a few miles south of all the action in Quartzsite proper, which was perfect for us since we were looking for peace and quiet. Mikki and Jay, the managers of the park, were extremely helpful and friendly from the very beginning and made us feel very welcome from the first minute. They greeted us at the entrance and got us situated quickly and safely into a nice pull-through spot with plenty of space and full hookups. In fact, they were so welcoming and the little community there was so inviting at La Paz RV Park that we decided to stay for four nights instead of original two nights. It was just supposed to be a quick stopover on our way to Sedona, but the peace, quiet and community that this little park offered just begged us to stick around for a little bit more. They have regular activities to build community at the park, including nightly bonfire (where I got my first taste of moonshine…apple pie flavored!…from a fellow guest), regular pancake breakfasts and other community meals. 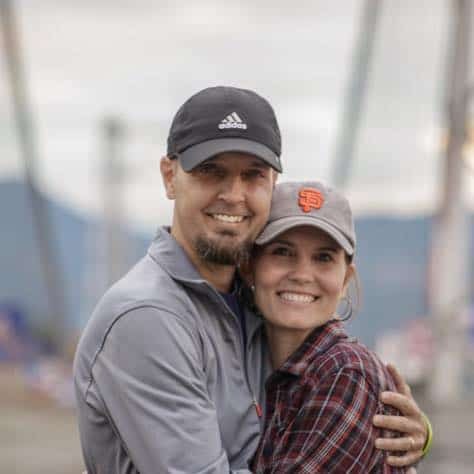 Simply put, Mikki and Jay really do a fantastic job of building community and helping you to do more than just stay for a night or two. They help you connect. And that is a very important factor in my book. 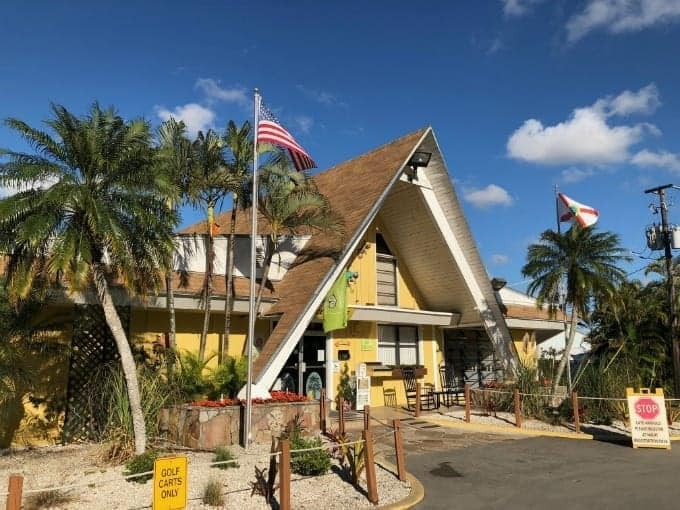 This RV park has 83 total RV sites and can accommodate any size rig with full hookups, in addition to laundry facilities and a large common building for group activities. It really is everything you could need and, for us, truly seemed like a little oasis in the middle of the desert. One nearby hike you simply cannot miss out on! During our travels, we tried to do as much hiking as possible wherever we stopped. (The majority of the hiking was in national parks, the primary focus of our travels.) 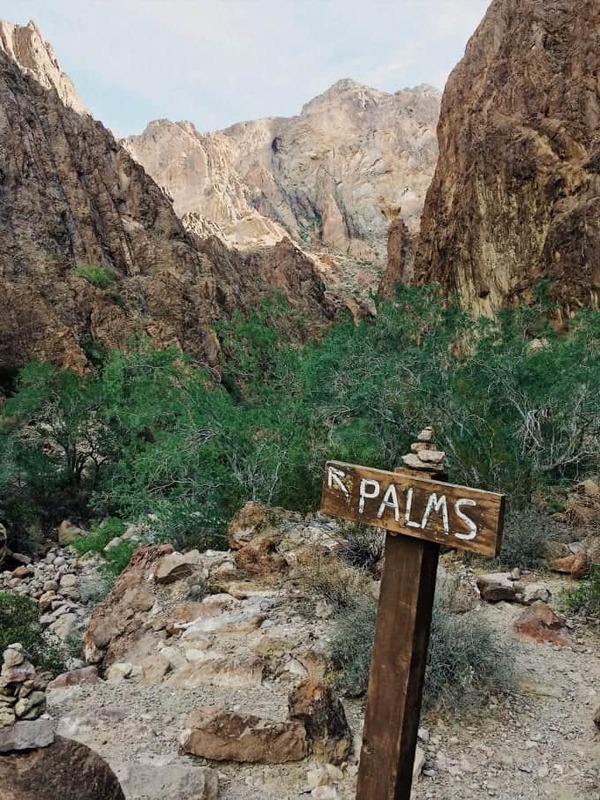 Sometimes we got a little bit lazy and missed out on some good opportunities, but I am SO glad we took advantage of the opportunity to explore Palm Canyon. This spot truly is a little oasis in the middle of the desert, beautiful palm trees included! 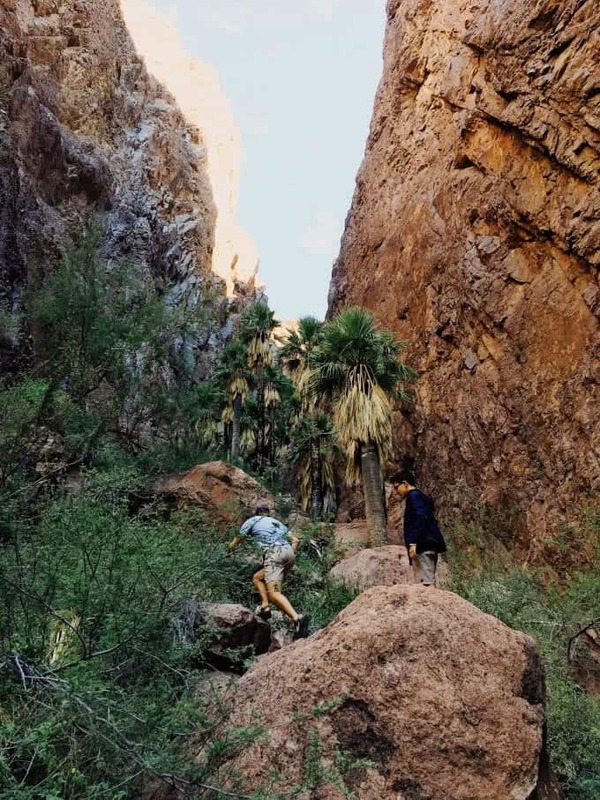 Palm Canyon is located within the Kofa National Wildlife Refuge and is only about a 40-50 minute drive South/Southeast of La Paz RV Park down US 95. A gravel road branches off to the east and allows you to reach the mouth of the canyon. This section can be rather bumpy at times and will have to be taken slowly, especially if you are not in a truck that can absorb some of that rough terrain. 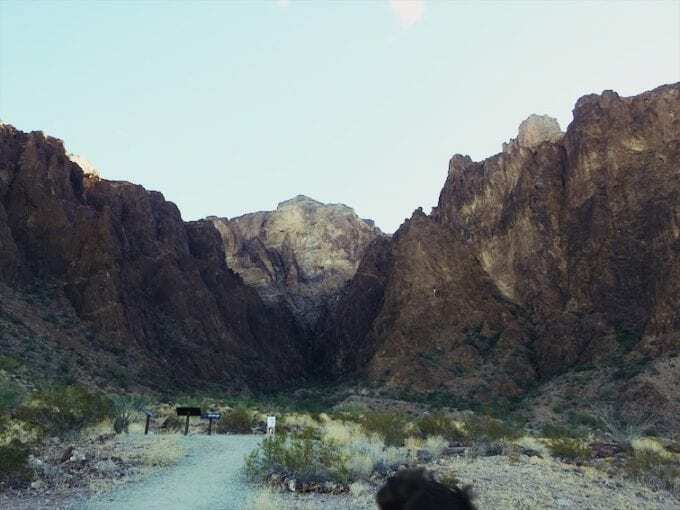 Having said that, the rough road is well worth it by the time you get your first glimpse into the canyon and nice view from the parking area of the Sonoran Desert surrounding you. It is a special kind of beauty that you need to experience in order to fully understand. 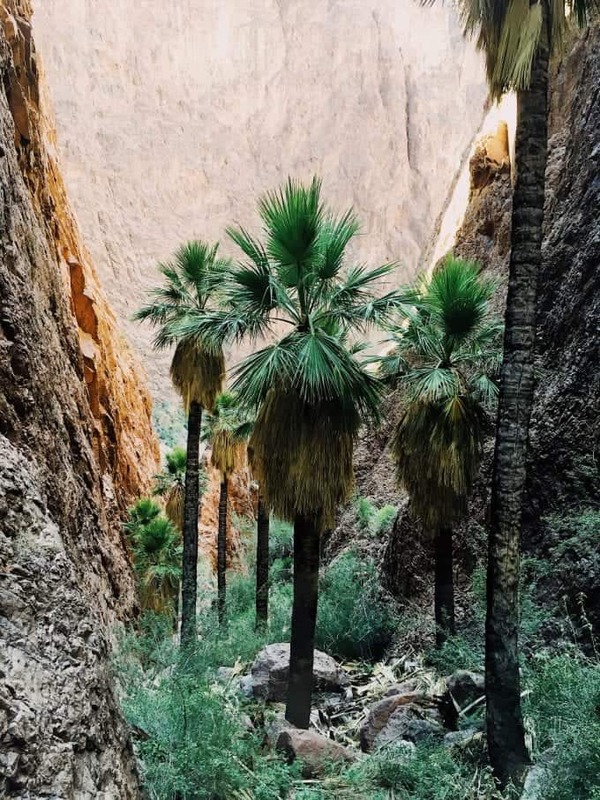 Palm Canyon is the site of the only major group of California fan palms naturally occurring in Arizona. And while that fact itself is pretty cool, catching a glimpse of these glittering green beauties set against the stark and arid backdrop of the Arizona desert just gives the heart a bit of a thrill. We just wanted to sit and stare, honestly. 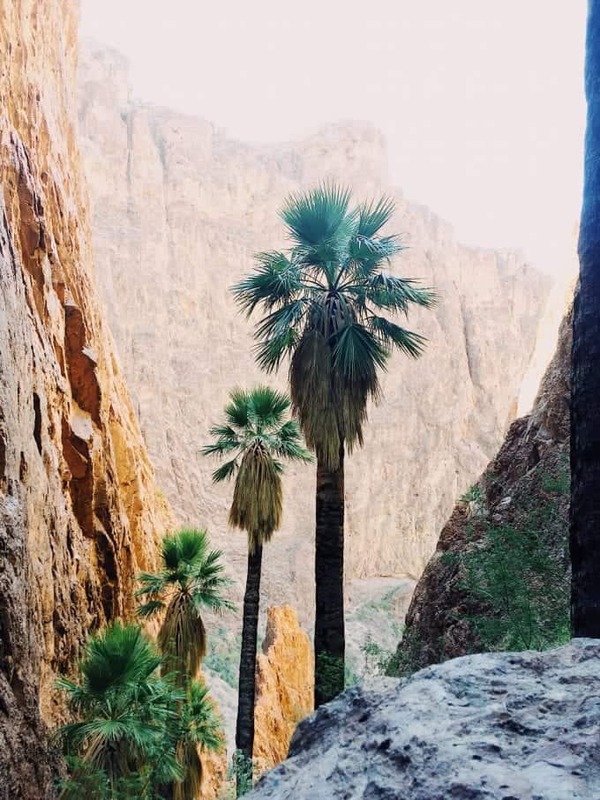 While you can see many of the 100+ palms from a distance while on the trail, I highly encourage you to “go off script” and scramble your way into the narrow ravine that is home to these rare giants. With a bit of effort, you can definitely get up close and personal with them and get a view of much of the canyon from up above the palms. It is totally worth the extra effort! This park will definitely have a bit different feel than our first pick. Located very close to the heart of town, it sits right on the main road and will be in the middle of all the action. If that’s what you are looking for, this is definitely a great option. They offer 50-amp, oversized sites that can accommodate the big rigs and gravel sites to hopefully keep the outdoors, outdoors where they belong. Be aware that this is a 55+ community, so don’t show up with kiddos and expect a friendly reception. Better to know now rather than later! Also located right on the main drag (N Central Blvd), Kofa Mountain boasts a convenient location and very positive overall reviews. With 53 total sites, level gravel with full hookups, and a decent number of pull-throughs, it ticks quite a few of the boxes that might be on your mind. You should be aware that this RV park DOES NOT ALLOW PETS. There’s nothing worse than running into that unexpected little bit of information as you roll into town after a long day of driving. Now, there’s a chance that you might not even want to explore Quartzsite AZ RV parks. I understand that you might have a rig that is 100% set up for “off the grid” boondocking, without any hookups. If so, I sure wouldn’t spend the extra money on a “fancy” RV park either! So, this one’s for you. Bureau of Land Management (BLM) has locations across the US that allow folks to park for up to 14 days. Generally, there is no charge for this accommodation (except your tax dollars). But at La Posa Long Term Visitor Area they do charge a $40 fee and allow you to stay anywhere from 1 night to 14 nights for that fee. During the busiest season (winter), you might have to content with heavy crowds that are kicking up clouds of dust with ATVs and vehicles of all kinds. So choose your location carefully. But if you are visiting in the off-season, you might not be able to see or even hear your closest neighbor. This can be wilderness adventure at its finest…if you come prepared. If 55+ isn’t a necessary component of a great RV getaway for you, I recommend you take a good look at Camel Stop RV Park. As an added bonus, it was apparently refurbished extensively in the past couple of years and is in very good condition. Despite these upgrades, it still appears to be priced in the mid-range for this area at around $30 per night. 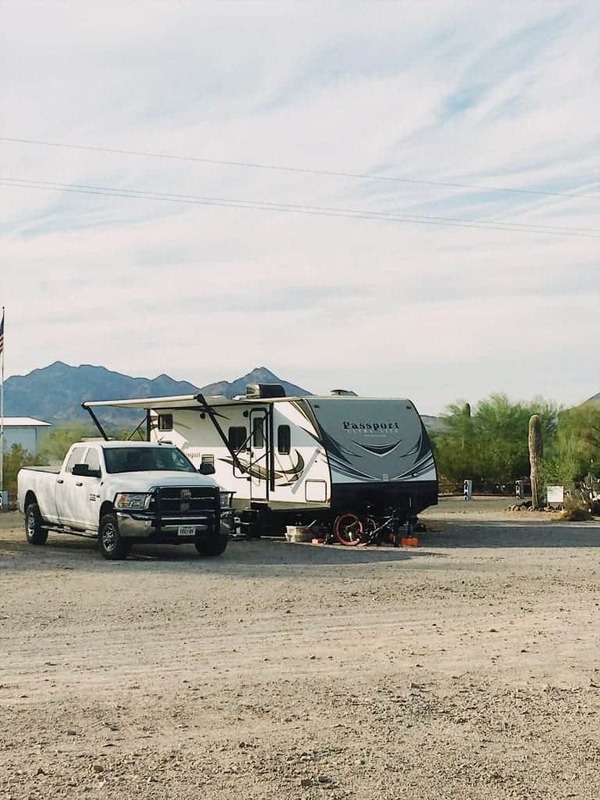 Be aware that this Quartzsite AZ RV park does also sit quite close to I-10, so “desert peace and quiet” should not be at the top of your priority list if you choose to book here. Do you have any favorite RV Parks near Quartzsite AZ? 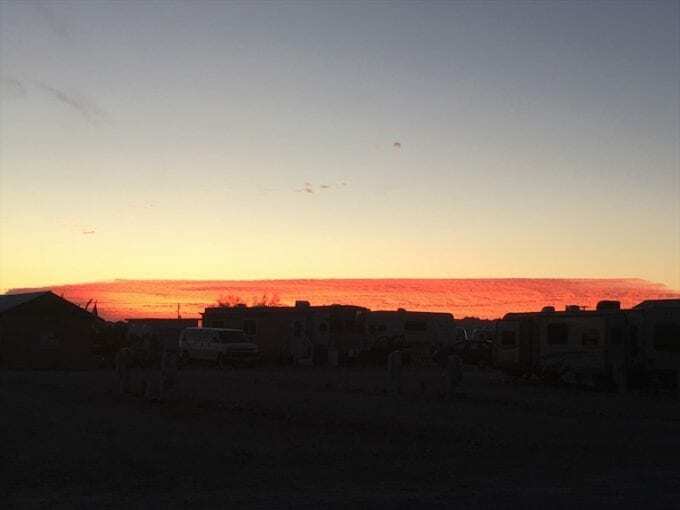 There are plenty of other RV parks near Quartzsite AZ, but this gives you a really good sampling of what you can expect to find, and pay, during your visit. If you have any good recommendations based on your own RVing experiences in this area, be sure to comment below and let us know! Now, as always, it’s time to get out there and keep on TREKKN! Looking for plain and cheap? I have spent December and January in the La-Z-days RV park in Quartzsite. $225 a month plus electric. WOW! That is cheap. Thanks for the tip Kevin!